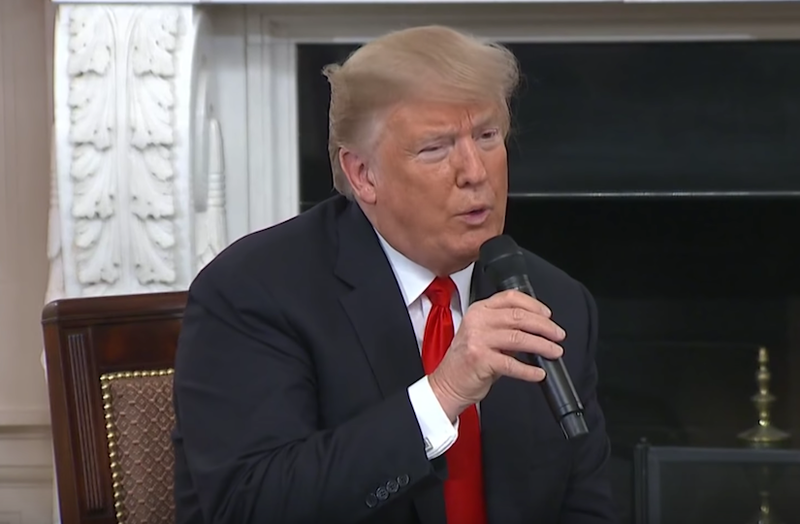 President Trump met Wednesday with representatives of trade groups, including Diane Benck of Associated Equipment Distributors, to discuss labor and the economy. To address the labor crisis that’s hit the construction industry, President Donald Trump and other key White House staff on Wednesday met with Diane Benck, chairwoman of Associated Equipment Distributors, and other trade group representatives about workforce development and the economy. The White House event highlighted the Trump administration’s “Pledge to America’s Workers,” an initiative seeking commitments from organizations and companies to train workers for skilled careers. AED was among a select group of organizations and companies invited to participate in the White House meeting. Finding enough skilled workers to meet the industry’s growing need has been a top concern for Benck, of the family-owned West Side Tractor Sales, and other who met with Advisor Ivanka Trump and National Economic Council Chairman Larry Kudlow as well as the president. “The greatest challenge facing the equipment industry is the technician shortage, which is costing AED members more than $2.4 billion per year in lost revenue and economic activity,” Benck says in a press release. A video of the October 31 White House meeting is below. For the first time in history, she told them, America has more vacant jobs than unemployed workers to fill them. 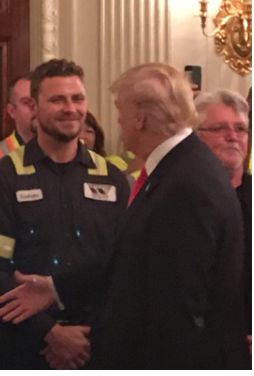 West Side Tractor’s Field Service Technician Andrew Roge is greeted by President Trump at the White House. “This represents an enormous opportunity for us to think about making sure that every American worker is equipped with the skills they need, whether they’re in high school and they’re looking to graduate and have a job ready for them upon graduation, or whether they’re a mid- to late-career worker who’s looking for an opportunity to learn a new skill or learn a new trade,” she says. She also points out that in July, the president called on the private sector to step up and start to take responsibility and commit to investing in their own workforce. Private companies are doing that, Ivanka Trump says. One example is AED and The AED Foundation, which have pledged to train and retrain 10,000 individuals during the next five years through AED Foundation-accredited diesel technology programs, association educational seminars and courses. Individual dealers invest millions of dollars annually to provide their employees the skills the industry demands, an AED press release says. Accompanying Benck was Andrew Roge, a field service technician for West Side Tractor Sales Co., based out of South Holland, Illinois. Roge, a Marine veteran, has benefited from more than 100 hours of training provided by West Side Tractor since joining the company earlier this year. ← Celebrate This Holiday Season With Your Customers. Here’s How.